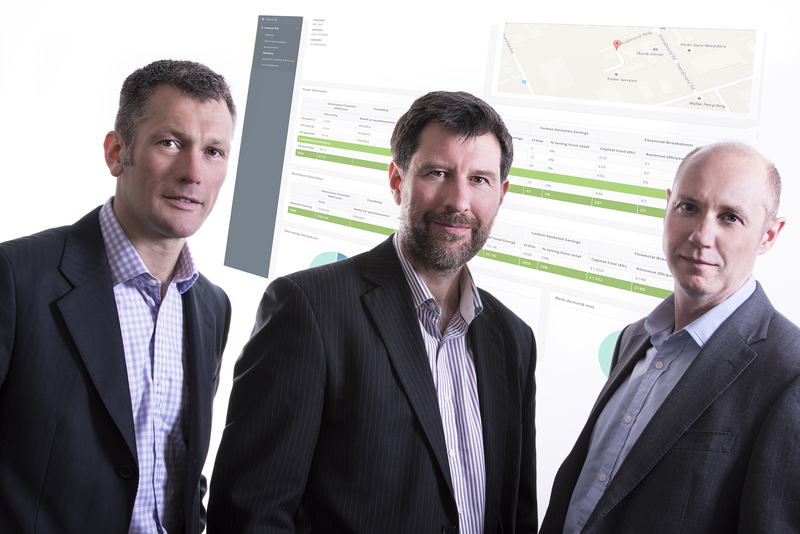 Edinburgh-based start-up OnGen has raised £250k for a new green energy assessment tool which goes live today. Their online platform aims to cut energy bills for businesses through offering in-depth feasibility assessments of different renewable and low carbon technologies. It is targeted at the public sector and high energy users who will be able to access and use the company’s simple to use on-line tool. Wood Group chairman Ian Marchant is one of a number of early investors in the firm. OnGen has been set up by energy experts Chris Trigg, Andrew Bright and Jonny Clark – who are inviting further finance, in line with the business plan to continue the growth of the company. “Green energy subsidies have reduced radically in the last 12 months however organisations can still make significant savings on annual bills by deploying the right mix of renewable energy technologies to offset externally derived sources of energy,” says Chris Trigg, OnGen Managing Director. “However it can be hard to make these decisions if a business is not well versed in the costs and benefits of different sources of energy,” says Trigg, who was a founding director at UK energy supplier Spark Energy. “Users will very quickly get the answers they need to make a sound business decision, even with little or no previous technical knowledge,” Trigg says. “We are now seeking second round funding to add new technologies to the platform and expand the team,” Trigg concludes. MBM Commercial LLP advised OnGen’s board and managed the fundraising.